Through examples and interaction you will deepen your understanding of quiet influence. Learn why now is called the “Rise of the Introverts.” What are the challenges that quiet influencers face in getting their ideas heard and challenging the status quo? 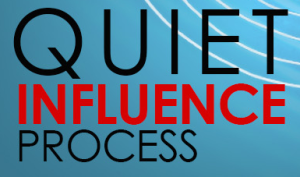 Learn how to implement the six steps of the Quiet Influence Process. Assess your own Quiet Influence Quotient. Learn how to make the most of six natural introvert strengths. Gain tangible tools to help you take quiet time and be a more engaged listener. You will create a workable action plan that addresses a current influencing challenge at work. A post-seminar group coaching session 2 weeks later will cement your learning.